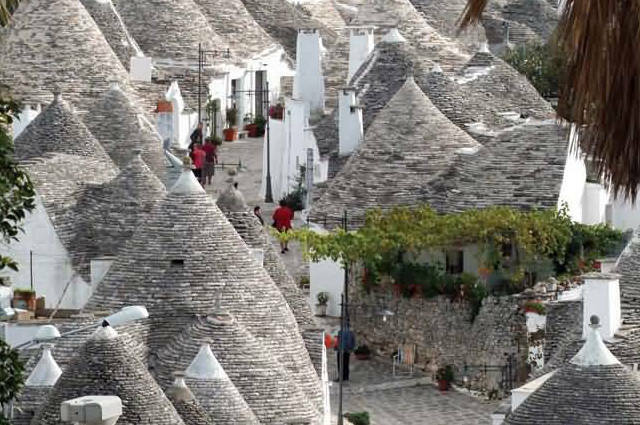 (Apulia)The heel of the Italian boot, Puglia is a long, relatively flat region, ideally suited for the production of wine. Winemakers from antiquity, the Pugliese people have been making and drinking wine for millennia and the region often surpassed Sicily and Veneto in output. 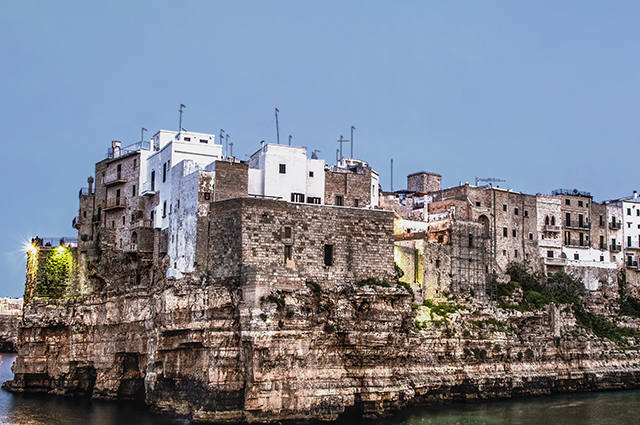 Although much of the Pugliese grape crop is now sold to wineries in the North, Puglia has 25 DOC zones, the most of any southern region. Most of these wines remain largely unknown (unfortunately), however, certain varieties are becoming appreciated for value both in Italy and in the US. One of these varieties is the Primitivo di Manduria. Primitivo is one of the DOC wines to come from the southern portion of Puglia, a flat peninsula called Salento that extends between the Adriatic and Ionian seas. Though hot and dry in the summer, desert-like cool nights retard ripening and encourage aromas in the region’s traditional powerful, inky reds. Primitivo, related to California’s Zinfandel, grows very low to the ground and ripens early (hence the name primitivo, or early). Though it once served primarily as a blending wine, the newer Primitivo from a new wave of producers has shown undeniable class in a style that stands comparison with its American counterparts. The region also produces some of Italy’s finest rose wines.